Most people living in Paris are firmly committed to leaving the city in a pine box, but for those who do make an antemortem exit, nostalgia will inevitably set in wherever you go next. Maybe it’s when you’re browsing the grocery store for a favorite cheap red wine. Maybe it’s when your words all come out in French when you need English. Maybe it’s when a shopkeeper is so cheery and helpful that you don’t even know how to respond. You’ll think of Paris, its monuments, its history-soaked culture... and you’ll wonder what ever prompted you to leave in the first place. 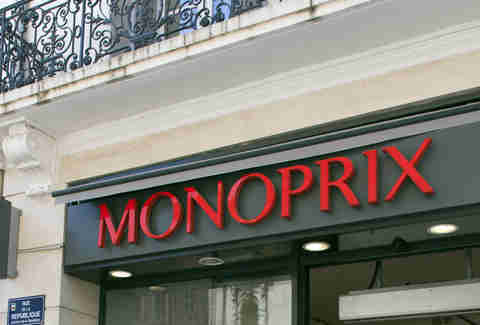 Anyone who lives in Paris develops a fondness for Monoprix. I mean, it’s a lifestyle, really; whether you need groceries, home goods, or even clothes, this French store has it all, and you instantly know where to find your favorite products. What I wouldn’t do to have a taste of my Monoprix brand low-fat Greek yogurt with Monoprix brand muesli -- no other grocery store will ever be as close to my heart. Sure, London and New York have their cycle shares, but the Vélib in Paris has truly memorable quirks. 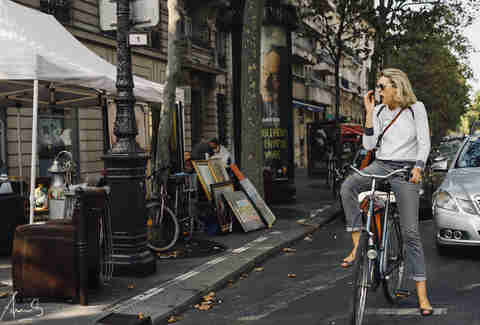 While they are virtually everywhere in the city, these heavy, lumbering bikes are delightfully French in their inability to function correctly or consistently. 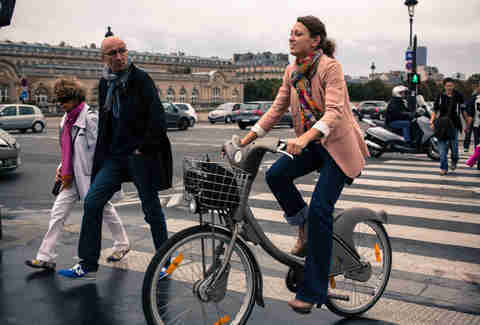 Whether you’re looking for a bike that’s not broken during the morning commute or an empty spot to park in the evening, the frustration of the Vélib is matched only by the giddiness of cycling through Paris and thinking, “Hey, I’m cycling through Paris,” once you find a good one. Sitting along the Seine or the Canal with a bottle of red, a cheap supermarket wheel of cheese, a fresh baguette, and a box of pastries for afterwards -- it’s just another evening in Paris when you live here. Once you leave, however, those boozy waterside picnics become less of the norm. The views are never quite the same, the cheese never quite as stinky. You’ll pine for those long summer evenings once you leave, guaranteed. 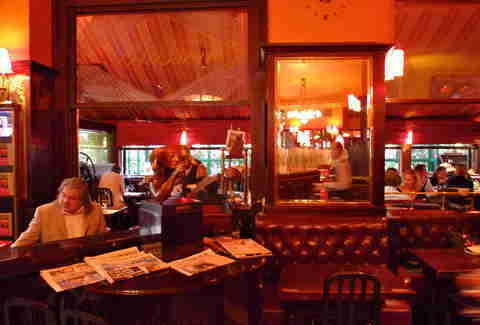 There are plenty of cosmopolitan destinations where people dress smartly, but few -- if any -- can hold a candle to Paris. Parisian women make jeans, heels, and a t-shirt chic, while Parisian men can wear a suit that makes even the Italians look twice. Sure, not everyone appears to have walked off the pages of Vogue or GQ, but Parisians pay attention to appearances. You’ll miss witnessing the graceful style here... even if many of us are pretty jealous about not being able to precisely reproduce it. It’s always the little things. Looking up at those Parisian buildings, I’d always marvel at the miniature gardens hanging from the wrought iron in front of the windows. 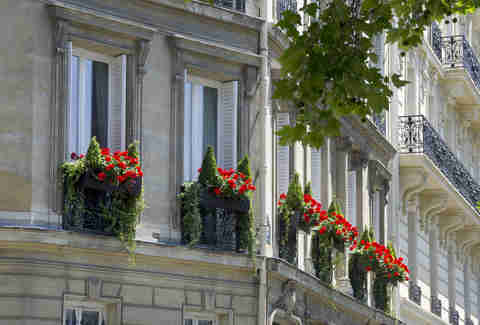 Bright red geraniums are so quintessentially Parisian to me that anytime I see them in another city, I can almost smell the accompanying cigarette smoke and hear a condescending French woman berating me... just like good old times. It seems like no matter where else you go in the world, the bread will never be like it is here. 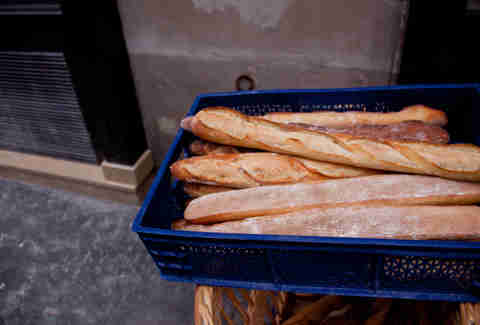 That’s not to say that no one anywhere makes good bread, but the sensation of tearing into a crunchy baguette fresh from a boulangerie is a total sensory experience that Paris simply does better than anywhere else in the world. The smell of the shop, the interaction with the bakers, and the feeling that you’ve cut the inside of your mouth on the salty shards of bread… none of it will ever be the same. Discovering that cashiers elsewhere in the world don’t balk at accepting coins or that stores don’t close before the time posted on their doors are just some of the revelations awaiting anyone who has left Paris. Secretly, however, you’ll miss these quirks... at least a little bit. They make each success that much sweeter, after all. I am still in awe when people in London’s shops try to actually help me instead of just telling me something isn’t possible. Come on, dude, don’t make it so easy. 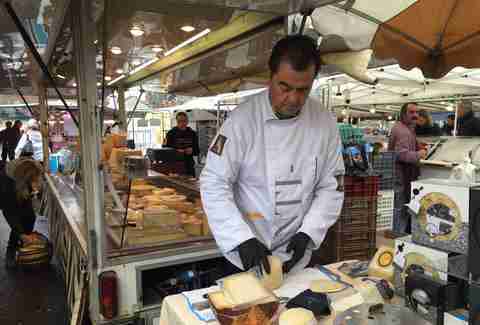 Whether you are walking into a cheese shop or taking the metro, your nose is the first sensory organ that Paris tickles. I loved the whiffs of jasmine while sitting in a café at night while a man tried to sell me a necklace of flowers, and the early morning aromas from the bakers churning out their first baguettes during my morning jogs. Sometimes, I even miss the smell of urine on the street corners that doubled as the city’s restrooms. Call me a romantic. 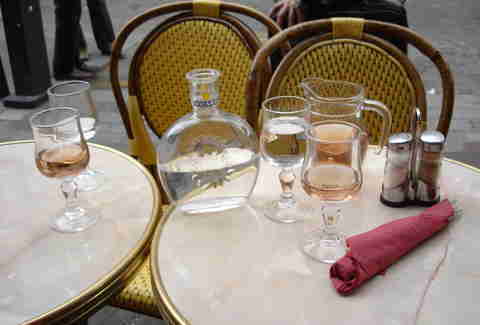 Sitting at a café with a nice carafe of wine -- nice cheap wine, at that -- is something I miss when I’m at a British pub. They’re just not the same. There’s a refinement, a sophistication, and a normalcy about drinking in Paris that I yearn for when I’m out in London watching people drink their faces off by 11PM. Points to Paris. Whether you identify with the Left or Right Bank, or whether you are a dedicated resident of the 4th or 10th or 6th arrondissement, you’re proud of that fact, and you stay local when possible. Each district acts as a little village, and you become friendly with your butcher, your baker, and your market vendors, even if you never learn their name. Basically the entire opening scene of Beauty and the Beast is an accurate portrayal of any Parisian neighborhood, and I miss those familiar interactions. The 19th century was kind to Paris, architecturally speaking. 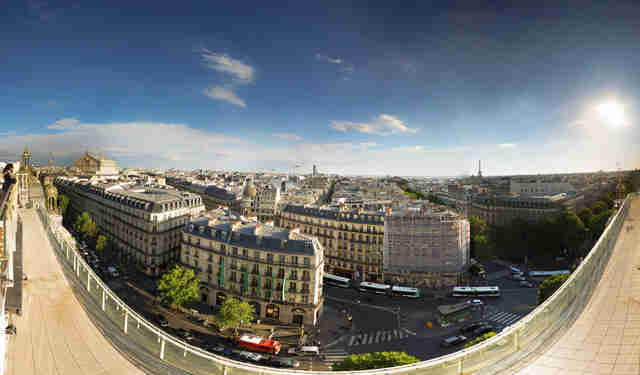 The Haussmann buildings that line the streets and boulevards are a staple for anyone who lives in the city. 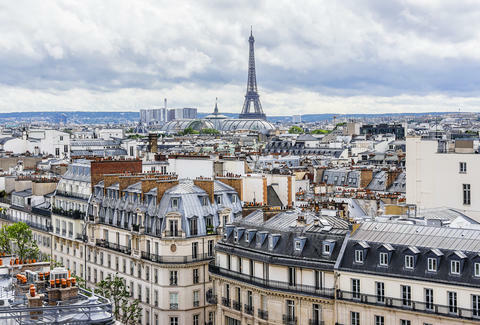 Once you leave, whether you’re surrounded by the skyscrapers of Manhattan or the crooked canal-front properties of Amsterdam, you’ll always get a little nostalgic for a dose of pretty-faced Paris. I was a little skeptical at the beginning of my time in Paris when my boss would usher me out of the office, insisting I take my lunch break… but it didn’t take me long to adapt. Now, I’m pining for the chance to get away from my desk and have a good, solid lunch break, instead of eating as quickly as possible while huddled in a corner somewhere. 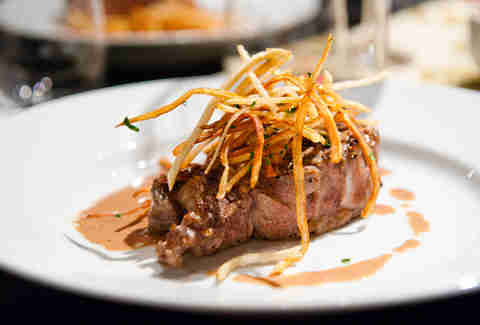 I want to go sit in a café and have a glass of wine with some steak and fries as if it were no big deal -- because in Paris, it ain’t. As an English-speaker, it was like a fun little adventure each and every time I would speak French. Would I actually get what I ordered? Would I get the document I needed? Would I get where I wanted to go? Usually, yes, but it was never a sure thing. Every day was a little adventure, every interaction a linguistic box of chocolates. I miss the tiny thrills. It’s not rudeness, it’s not snobbery, it’s not elitism... it’s all of that and then some. While they have a bad reputation, Parisians can be some of the loveliest people in the world if you give them a chance. You just need to look past the fact that they think they are better than everyone. But if you live long enough in the City of Light, you’ll start to understand why they feel that way, and once you leave Paris, you’ll miss feeling superior for the simple fact that your zip code starts with a 75.